In need of a new air conditioning installation, furnace repair, or vice versa? Either way, our HVAC experts are ready to install or repair Trane, AirEase, and any other brand of air conditioner or furnace. Don't hesitate and be stuck in the heat or cold of Glenview. Call us today. We are here for you 24/7. When you call you don't talk to an operator you talk to the owner. Give us a call if you have no heat or air conditioning and you will be another good review for us. We promise. 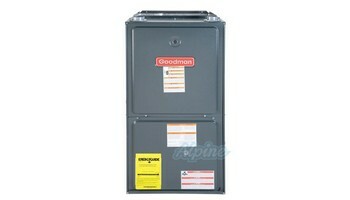 Bryant furnace Topline HVAC repairman when servicing or installing a new reset flame switch. Call cleaning and checking and servicing at Main maintenance on your furnace should be done by an HVAC license company like The Price is Right Heating and Air Conditioning HVAC company. We have the top line service technician ready the service and repair your equipment. Goodman furnace Topline HVAC repairman wWhen installing a retrofit kit .Make sure the service technician or the company that you hired is licensed and insured. The company should have years of experience in retrofiting furnaces. Specialist that will make sure the retrofit kit is installed properly. The Price is Right Heating and Cooling have that Top Line service technician .Who is ready and prepared the service and repair whatever you need. 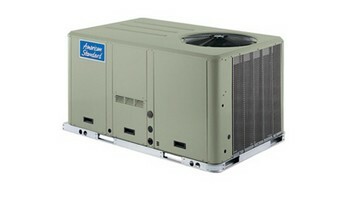 Amana furnace Topline HVAC repairman here at the Price Is Right Heating and Cooling. We have installed thousands of ignition modules. We are here ready to install one for you. Lennox furnace Topline HVAC repairman here at the place is Right Heating and Cooling .We specialize in installing spark ignition kits for all forced air furnaces. When you need a top line service technician .The Price is Right Heating and air conditioning company have the best technicians that are in the field today. Maytag furnace Topline HVAC repairman here at the place is Right Heating and Cooling .We have serviced and repaired a lot of pressure switch hoses that usually dry up and cracked throughout the years. 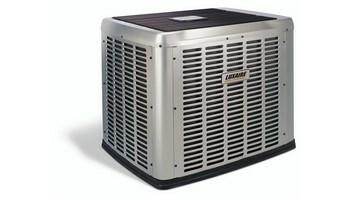 So have your furnace clean and check by The Price is Right Heating and Air Conditioning Top Line service technicians. And they will expect to see if your pressure switch holes needs to be replaced. LJ Mueller furnace Topline HVAC repairman know how to work on high voltage equipment. Make sure always have a licensed HVAC heating and air conditioning company. If you're need any high voltage controls on your equipment checked. We have Top Line service technicians. Who have been in the field for decades and there are professionals. Ready to serve you here at the Price Is Right Heating and Air Conditioning HVAC company call us. Trane furnace Topline HVAC repairman Our service technicians here at the Price is right heating and air conditioning hvac company. We have top line service technicians who are professionals. Who know how to work on low voltage wiring troubleshooting and repairing. If you're having low voltage problems on your furnace .Always call The Price is Right Heating and Cooling today. York Furnace Topline HVAC repairman art installers know how to work which flue piping for all major brand forced air systems. We specialize in installing new flue pipe whether it's for an 80% high efficiency furnace. Or running PVC for 96% efficiency furnaces. Here at the Price Is Right Heating and air conditioning company. We specialize in service and repairing all major brand equipment. Here at the Price Is Right Heating and Cooling HVAC company .We have Top Line service technicians and professional furnace installers. Call us today for servicing or any installations. Coleman furnace Topline HVAC repairman Our furnace service technicians and our furnace installer.Now everything there is to know about running gas lines. We specialize in making sure that there is no gas leaks Any gas lines that we install. We install the proper drip legs ,shut off valves nineties ,unions couplings and to make sure everything is 100% code. We have Top Line service technicians and top-line furnace installers. That have been working with gas lines for the last 20 years in business. The Price is Right Heating and Cooling is here for you. To run gas lines for you and to install a new drip line if you need one. We service all makes and models of furnaces, air conditioners, and rooftop models within the Glenview area. For more information contact us at (847) 409-8699 and we'll be happy to answer any heating or cooling questions. We replace furnace igniters for 80% higher efficiency systems . Make sure that you hire a licensed HVAC company When you're installing a furnace ignitor in your home or business. Here at the Price Is Right Heating and Air Conditioning HVAC company. We specialize in the installing furnaces. We install every major brand name furnace. We have specialists ready to install one for you right now. We have specialists who have been in the field for over 25 years. Who are the best at servicing and repairing all Allied furnaces and air conditioning condensing units. Our service professionals are the best for troubleshooting and wiring any high-efficiency equipment no matter it is a single-stage high-efficiency heating system or a variable speed high-efficiency heating system Here at The Price Is Right Heating and Cooling HVAC company. We're pros at servicing single stage gas valve and two stage gas valves for all Westinghouse furnaces. Getting your furnace cleaned and checked every season and having your filters replaced every month is the best thing you can do for your family and your forced air furnace system. For top line service technicians call The Price Is Right Heating and Cooling HVAC at 847 409 8699 we are here to serve you. call today.